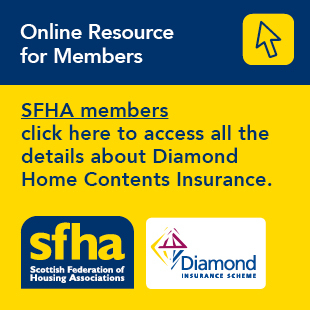 Following a rigorous selection process, Drumchapel Housing Co-operative and Cernach Housing Associations have agreed to enter a three-year agreement to share some of the expensive services they both use. Services to be shared will initially include a director service and other specialist services such as asset strategy and procurement. The arrangement will be reciprocal and both expect the sharing to expand with a new handyperson/environmental service currently in development. The agreement is part of the associations’ shared desire to make every penny count for tenants. “We have been through a period of major change and positive improvement at our organisation. “The move to share services was part of our plans to ensure we demonstrate value for money for our tenants. “We will now use the savings to re-invest in things that matter to tenants – improving services, homes and creating opportunities for the people who live in our community, including starting two new young apprentices from our own area. “We received resounding support for this plan, with 100% of our tenants backing the change”. Mags Lightbody, Interim Director at Drumchapel, said that the initial savings from moving to share specific resources and the resultant staff restructure, which has increased the front-line team, is estimated to save the co-operative over £3 million over the 30-year business plan whilst, at the same time, improving the services, standards, performance and satisfaction levels. “We are confident that this is just the start of what will be a great working relationship between our two organisations, where we can come together to drive more for our respective communities whilst still preserving our identities and everything that makes us unique. The partnership will commence on 14 November 2016, with Caroline Shepherd, current Director at Cernach Housing Association, taking over as Services Director at Drumchapel Housing Co-operative.